A Three Bedroom Detached Property occupying a large plot in this idyllic location just off the village square. Steeped in style and quality this outstanding four bedroom detached family residence situated in one of the areas most sought after residential locations. 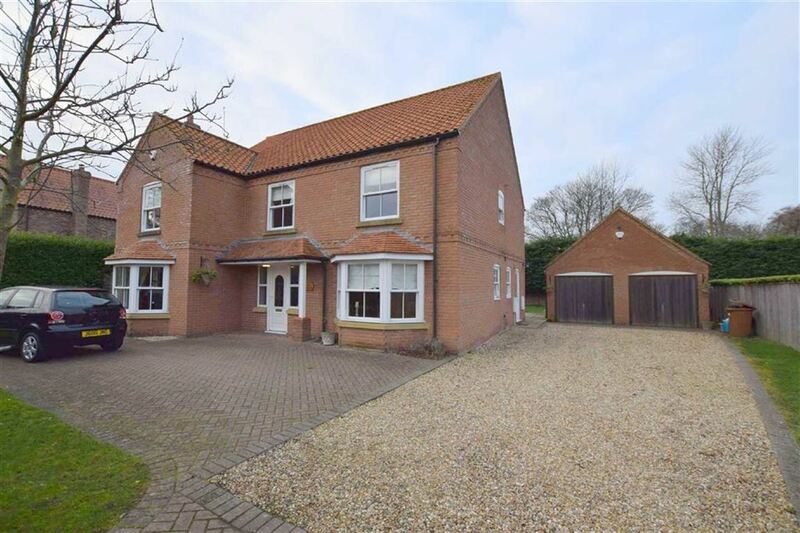 Occupying a large plot with superb lawned gardens, and detached double garage. Internally, significant improvements have been made to an exceptional specification resulting in a truly fabulous home, providing generous and flexible living accommodation perfect for any growing family. 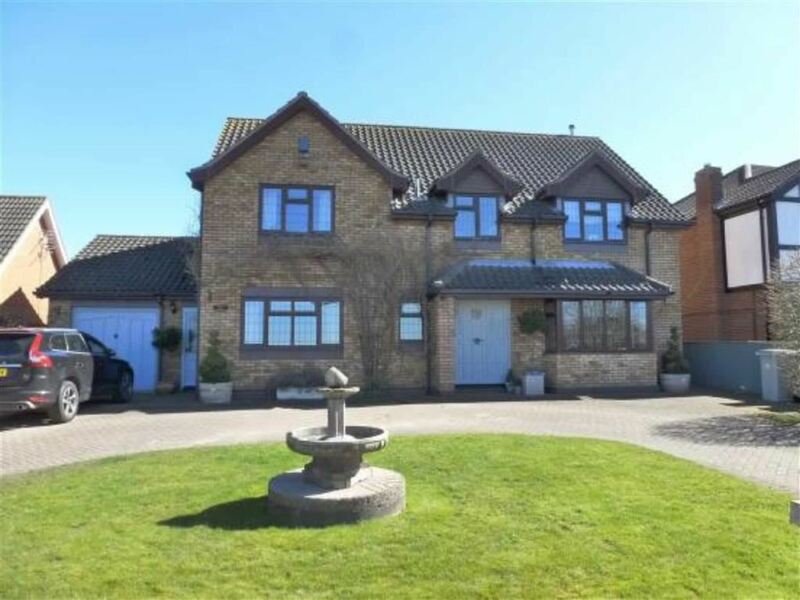 Features include the grand entrance with reception hall having staircase to the galleried landing, a well appointed bespoke fitted dining kitchen and adjoining living room with multi fuel stove. There are two further reception rooms providing further living and dining space. Rear entrance with fitted utility room, and cloakroom/WC. The first floor hosts four double bedrooms, this includes the master bedroom which features a freestanding slipper bath, an elegant en-suite shower room plus a fitted dressing room. The family bathroom is beautifully appointed to include a freestanding bath, and shower cubicle. Benefiting from a new central heating system with pressurised hot water system, and classic style radiators. An outstanding property... Viewing Highly Recommended. 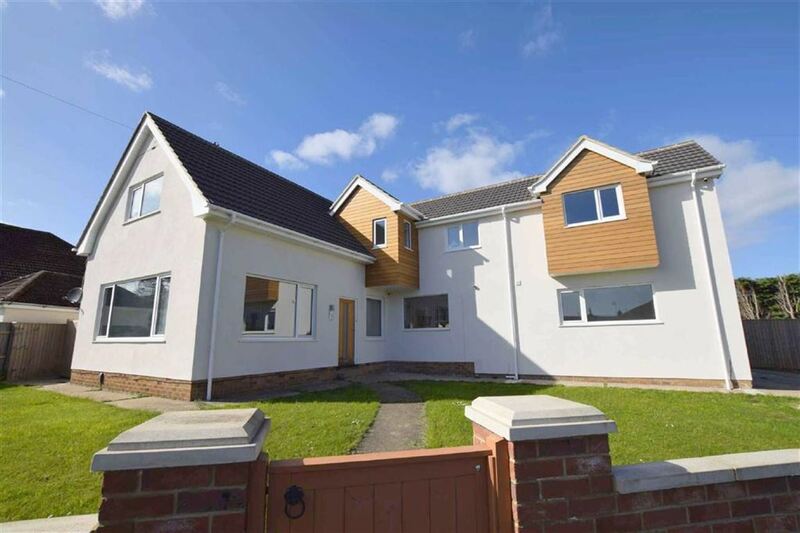 A substantial Five Bedroom Detached Family Home found on this exclusive residential development located off Cheapside. Occupying a Large Plot with Private Rear Garden, Detached Double Garage and Driveway for multiple vehicles. Internally, offering generous and versatile living space comprising Entrance Hallway, Cloakroom/WC, two main Reception Rooms separated by double doors, an Open Plan Dining Kitchen, Utility Room, and a further Sitting Room. First floor with Galleried Landing leading to the Master Bedroom with En-Suite Bathroom, Four Further Good Sized Bedrooms, and a Family Bathroom. FAMILY HOME OF GENEROUS PROPORTIONS!... Located on the outskirts of Tetney, this four bedroom detached home offers superb family living space, occupying a good sized plot with lawned rear garden, integral garage, and in/out driveway providing ample off road parking. Internally the versatile accommodation includes a large welcoming reception hall, cloakroom/wc, a dual aspect lounge, further sitting room, and formal dining room at the rear leading to the kitchen diner, utility room and further wc. The first floor, again very spacious hosting four generous sized double bedrooms and the family bathroom. A lovely property... Viewing Highly Recommended and Offered With No Forward Chain. 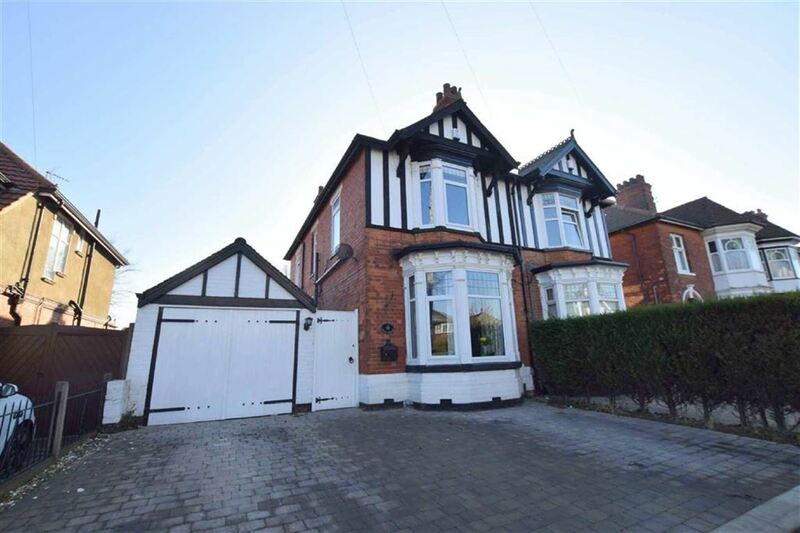 Found in this enviable residential area located just off Cleethorpes Seafront, this substantial Four Bedroom Semi Detached Property is a fine example of a period family home, providing flexibility and generously proportioned room sizes. Whilst retaining some original features and in keeping with its charm and character, the property has been much improved by the current owners to include a 32ft bespoke fitted Open Plan Living Kitchen with spacious dining/sitting area forming a sociable family hub. 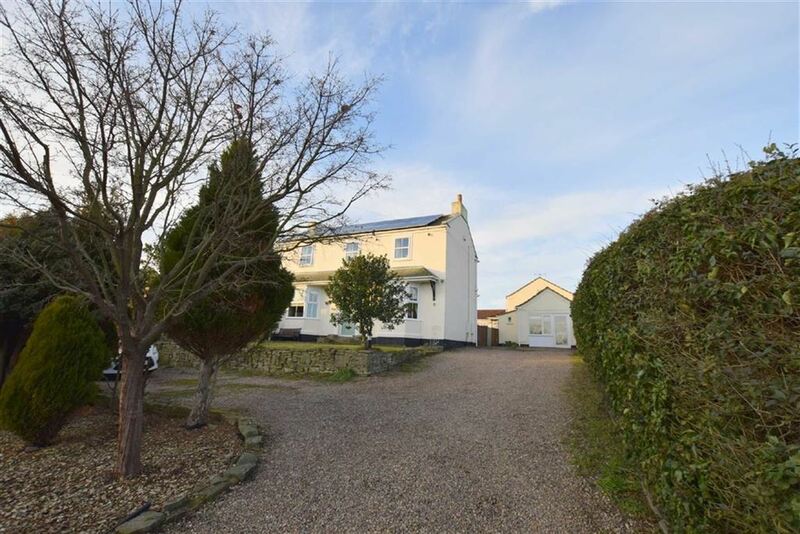 Further accommodation includes Entrance Hallway with understairs Study area, Bay Fronted Lounge With Open Fire, and a Second Versatile Reception Room. To the first floor are Four Double Bedrooms, En-Suite Shower Room to the Master Bedroom, and a traditional style Family Bathroom. Outside, with driveway providing parking for at least two vehicles, Detached Garage, and a Good Sized Lawned Rear Garden.